At times it happens that you are standing outside the car because it is locked from inside, this created a very stressful situation and can be dangerous if you are far away from your town. It is always a smart idea to have a backup plan to tackle this situation. 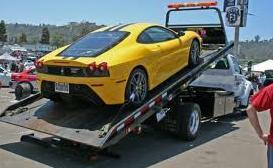 If you need any sort of help relate to roadside assistance then towing companies are there to help you out. Any unpleasant situation that occurs because of your vehicle, then these companies actually behave as your best friends. Towing Alameda Can Help You! As such towing services help you in a number of ways but its crucial role is played when it pulls your breakdown vehicle to the nearby repair station or any other desired destination. Usually, towing services having good reputation in the market render their service 24×7, so that they can assist their customers at any point of time when they need your help. It is always suggested to have a contact number of a reputed towing company with you so that at the time of need you do not have to think what to do now. Ca roadside assistance that helps you to bring your car out of any dangerous situation also helps you to open your car locks at the time of car lockout. They hold expertise in handling different types of car models. You need to show some proofs to show that it is your car then only they will start their work. Other than this, when you will call them and ask for help they will ask you the model number of the car so that they can bring the necessary equipments to repair your car.